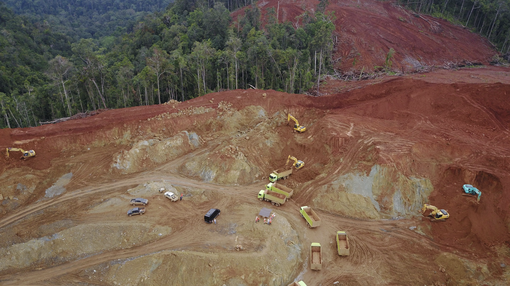 Nickel Mines Limited (ASX:NIC) has advised that the second kiln at the company’s 60% owned Hengjaya Nickel Project has been commissioned and has produced its first nickel pig iron (NPI). Operation of the first kiln is said to be progressing well and is expected to reach at least 80% of nameplate capacity by early April 2019, while the second kiln is anticipated to reach at least 80% of capacity in early May 2019. Ramp-up to full scale production will be achieved shortly thereafter. In the commissioning period from the first NPI production (31 January 2019 to 10 March 2019) the first kiln produced 3280 tonnes of NPI, at an average grade of 12.65% for a total of 415 tonnes of nickel. This commissioning process and ramp-up is consistent with that previously implemented across the 20 existing RKEF lines currently in operation within the Indonesia Morowali Industrial Park. As announced on 1 February 2019, construction of the company’s 17% owned Ranger Nickel Project has been expedited and commissioning of the first kiln is expected near the end of April 2019 with the second kiln to commence about 45 days later — well ahead of previous guidance of the September 2019 quarter. Commenting on the commissioning of the second Hengjaya Nickel kiln, Managing Director Justin Werner said, “We are extremely pleased to announce production from the second kiln. Commissioning of both kilns will continue over the coming weeks and we look forward to providing further updates as we progress towards full scale production. The small cap, which is on the cusp of emerging as a significant player in the global nickel space, is having a good run, now up 78% since its January lows to close at $0.40 today.